I had the most fun at The Press Shop the other day. With it’s young laid back Cali meets New York grab-and-go-on-your-skateboard vibe, it’s bringing a super fun and delicious food option to the insanely busy SoHo shopping area. Pure, plain and simple, it’s a sandwich shop opened by two super fun guys Oliver and Geoff. Don’t get it twisted, this isn’t your bodega thin bread wrapped in white paper sandwich, this is a sandwich experience. Sit at the high long communal table, grab a stool by the window or take it to-go, doesn’t matter, just know you’re in for something awesome. The bread on these sandwiches is thickly cut and, no matter which one you go with, it will be stuffed perfectly—not overly so where you feel like you have to Daffy Duck jaw drop to fit it in your mouth or underly so where you feel like you’re eating tea sandwiches with the crust cut off, no, I’m talking perfect stuffage! 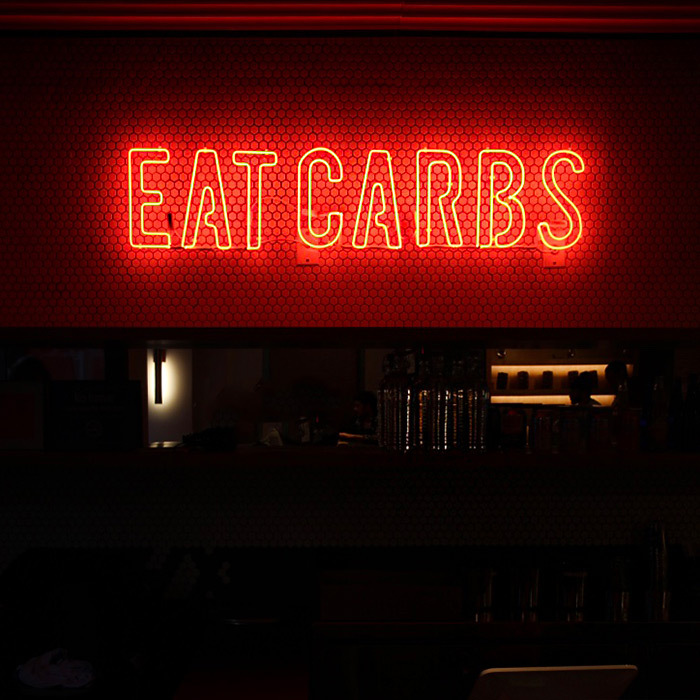 It goes beyond this, it’s, as their neon sign says so poignantly, that “Eat Carbs” experience. Yes, you can stuff your face with a killer super gooey grilled cheese sandwich while noting the perfectly toasted bread that grazes your tongue. But why not take it to the next level and elevate that cheesy sandwich with fontina, provolone and truffle oil? Don’t stop there, have all of your grilled cheese dreams come true and have it served with that so perfect for dipping tomato soup! Well, friends, that’s how it’s served. No, “I want a side of…” nonsense. It’s your dream sandwich and it’s perfectly curated. It’s beautiful, really! They’re all like this, you’ll love!